Boeing will install a safety feature it earlier offered as an option on all 737 MAX aircraft. 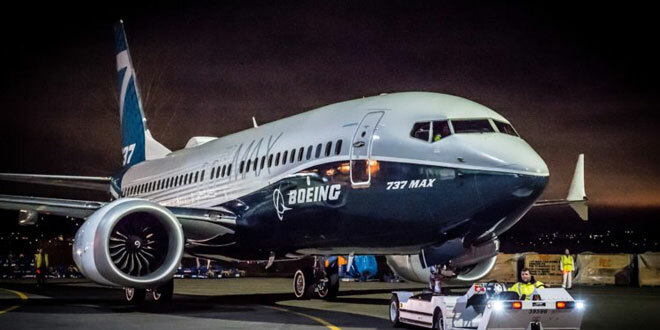 New york (AFP) – Boeing’s 737 Max aircraft will be outfitted with a warning light for malfunctions in the anti-stall system suspected in October’s fatal crash in Indonesia, an industry source told AFP, standardizing a feature previously sold as an optional extra. Boeing is struggling to cope with the fallout from the Indonesia and Ethiopia crashes, which have cast a spotlight on the safety certification process and shaken confidence in a plane that is crucial to its future plans. Neither the Lion Air aircraft nor the Ethiopian Airlines jet, had the feature. More than 300 people perished in the two cases. American Airlines, which operates 24 737 Max 8, bought the option, anticipating potential malfunctions, a source close to the matter told AFP. So too had Southwest Airlines, the plane’s biggest customer, which also bought an additional “Primary Flight Display” option. Preliminary investigation into October’s Lion Air crash in Indonesia indicate an “angle of attack” sensor, which feeds data to the MCAS, had malfunctioned. US and Ethiopian authorities said the crash of Ethiopian Airlines Flight ET302 near Addis Ababa bore “similarities” to last year’s Lion Air crash. The Ethiopian Airlines crash led to the global grounding of the 737 Max.